Our Naturopath, Kathleen McFarlane is passionate about evidence based natural medicine and educating her patients about dietary and lifestyle choices that impact overall health and well-being. Her philosophy is based on the naturopathic premise that the body is a unit of inter-related systems where dysfunction in one area can have a negative impact on other body systems. Kathleen works with her patients to design goal orientated, holistic dentistry treatment plans that consider the body as a whole, working to address the underlying cause of the health issue. 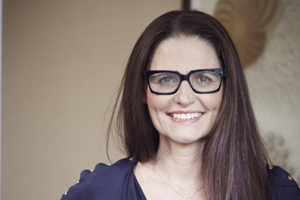 Prior to her life as a Naturopath, Kathleen developed a successful career in banking as a Director of SG Australia. Her strong analytical skills and commitment to results, work hand in hand with her innate compassion and desire to make a real difference in her patients lives.